A leading orthopedic surgeon and a top sports chiropractor team up to offer a groundbreaking new approach to remaining injury-free and recovering from injury faster. Muscle injuries are not just for sports superstars anymore. Back, shoulder, hip, and knee problems bedevil more and more people than ever before. Muscle Medicine provides a way to prevent such injuries from happening and to treat them when they do without drugs or surgery. The product of a collaborative effort between two widely recognized authorities on sports injuries, Muscle Medicine relies on cutting-edge medical and therapeutic expertise to deliver what many doctors cannot: explanations of how to maintain good muscle health, how to treat common muscle injuries, such as “Tennis Elbow” and “Cell Phone Neck,” and how to determine when joint surgery is and is not necessary for some common orthopedic problems. By focusing on the health of our muscles, we can prevent many sports injuries from occurring and recover faster from the ones that do, say the coauthors, whose A-list clients have included John McEnroe and Elisabeth Hasselbeck. 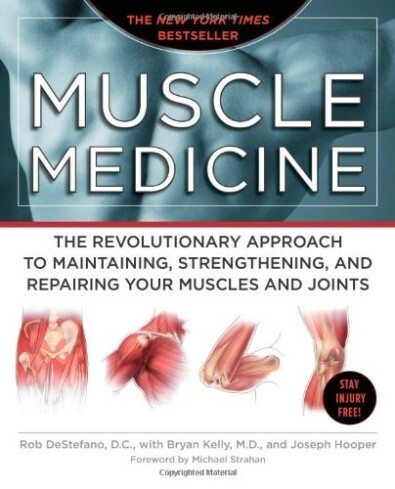 Featuring more than 100 illustrations that show the basics of muscle mechanics, along with various stretching, strengthening, and self-treatment exercises, Muscle Medicine will help readers enjoy pain-free, active lives no matter what their age or activity level.